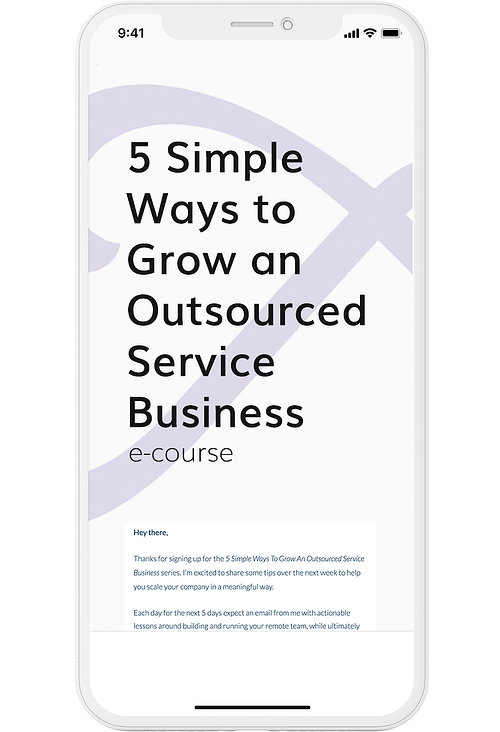 Running a remote team or growing an outsourced service business? Register for the e-course and get 5 helpful lessons over the next 5 days to help you grow! You know how beneficial it is to leverage a distributed team. 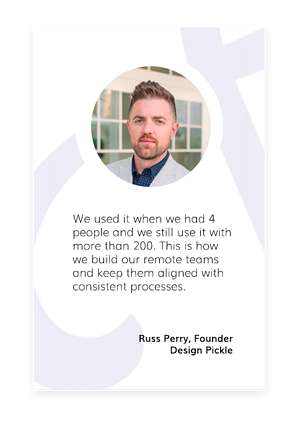 But building and managing your remote resources while growing your company is difficult. How do you find great talent around the world? How do you get everybody up to speed and on the same page as quickly as possible? How can you ensure that nothing is dependent on just one person and that 24/7, your business is moving forward? Sign up now and starting tomorrow, every day for the next 5 days, dig into a new lesson to help you build your remote team! The modern training manual for growing businesses. 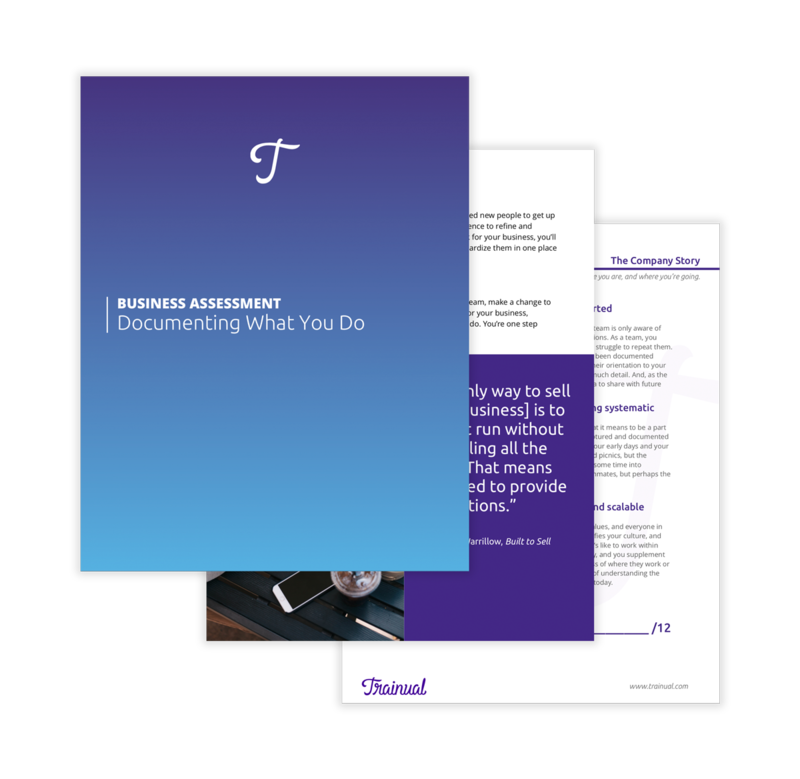 Document how you do what you do and get your business out of your brain today. Copyright © 2018 Trainual, LLC. All rights reserved. 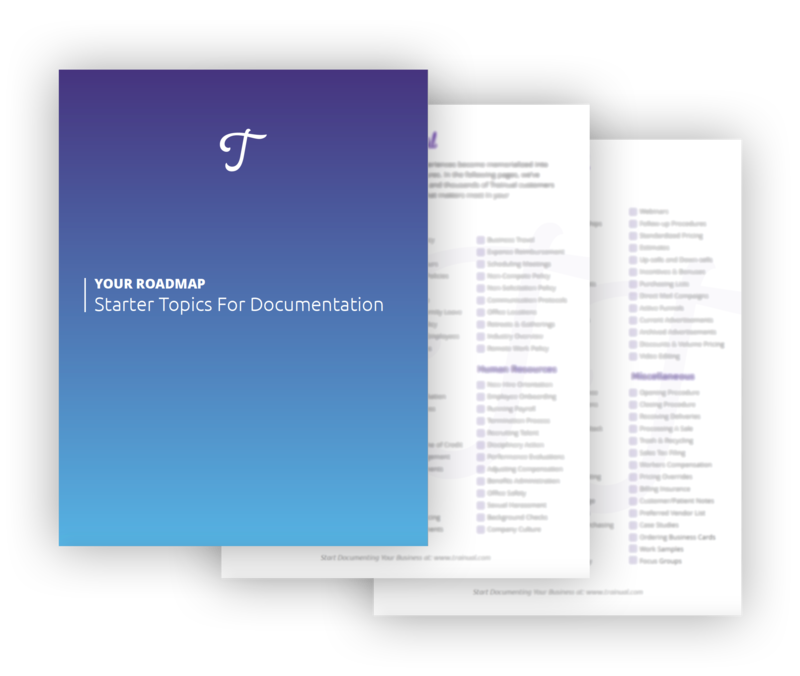 If your business is growing fast and hiring often, you need an easy way to get people up to speed fast. Trainual allows you to create scalable systems and processes, automate your onboarding, and build accountability into training.